Died: July 30, 2011, supporting Operation New Dawn. 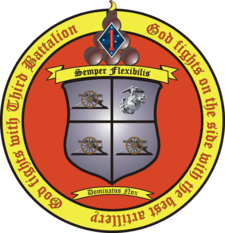 Unit: 3rd Battalion, 11th Marines, Marine Corps Air Ground Combat Center, Twentynine Palms, California. 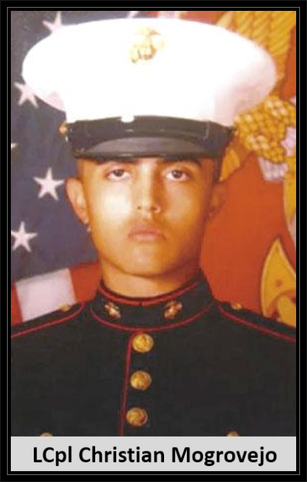 Christian Mogrovejo, 20, of Hamilton, passed away Saturday, July 30, 2011, in Twentynine Palms, CA. Born in Cuenca, Ecuador, Christian was a longtime Hamilton area resident and graduate of Hamilton High School West, Class of 2009. He was currently serving as a Lance Cpl. with the US Marine Corps, stationed at the Twentynine Palms combat center in California. He had earned the Global War on Terrorism medal and the National Defense Service medal. Christian is survived by his parents, Carlos H. Mogrovejo and Ana P. Reyes; his sisters and brother, Cecilia, Carlos and Anita Mogrovejo; and many other relatives and friends. A Mass of Christian Burial will be celebrated 10 am Wednesday at St. Josephs RC Church, 540 North Olden, Trenton, NJ 08638. Interment will follow in Brigadier General William C. Doyle Veterans Memorial Cemetery, Arneytown.